Qualification of being elected representative does not apply to Prime Minister of India! Can a person who is not a member of either House of Parliament be sworn in as the Prime Minister of India? A person who was not a member of either House of the State Legislature could also be appointed by the Governor as the Minister (Which includes the Chief Minister) for a period not exceeding six consecutive months. See Har Sharan Verma v. Shri Tribhuvan Narain Singh, Chief Minister, U.P., (1971) 1 SCC 616. and again reiterated in: Har Sharan Verma v. State of U.P. 1985 (2) SCC 48. ….to appoint a non-member of the Parliament as a Minister did not militate against the constitutional mechanism nor did it militate against the democratic principles embodied in the Constitution. The Court, therefore, upheld the appointment under Article 75(5) of the Constitution read with Article 88 thereof, which Article, inter alia, conferred on every Minister the right to speak in, and otherwise to take part in the proceedings of, either House, in joint sitting of the Houses, and in a Committee of Parliament of which he may be named a member, though not entitled to vote. See: Har Sharan Verma v. Union of India (1987) Suppl. SCC 310. Article 164(4) of Constitution of India provides that a Minister who for any period of six consecutive months is not a member of the Legislature of the State shall at the expiration of that period, cease to be a Minister. It was, however, urged that on the plain language of the said provision, it is obvious that it speaks of appointment of a Minister who is a member of the State Legislature but who loses his seat at a later date in which case he can continue as a Minister for a period of six months during which he must be re-elected or otherwise, must vacate office. Interpreting the said clause in the context of Article 163 and other clauses of Article 164, this Court held that Clause 4 of Article 164 had an ancient lineage and there was no reason to whittle down the plain thrust of the said provision by confining it to cases where a person being a member of the Legislature and a Minister, for some reason, loses his seat in the State. …..The English convention that the Prime Minister should be a member of either House, preferably House of Commons, is not our constitutional scheme since our Constitution clearly permits a non-member to be appointed a Chief Minister or a Prime Minister for a short duration of six months. That is why in such cases when there is any doubt in the mind of the President, he normally asks the person appointed to seek a vote of confidence of the House of the People within a few days of his appointment. By parity of reasoning if a person who is not a member of the State Legislature can be appointed a Chief Minister of a State under Article 164 (4) for six months, a person who is not a member of either House of Parliament can be appointed Prime Minister for the same duration. We must also bear in mind the fact that conventions grow from longstanding accepted practice or by agreement in areas where the law is silent and such a convention would not breach the law but fill the gap. If we go by that principle, the practice in India has been just the opposite. In the past, persons who were not elected to State Legislatures have become Chief Ministers and those not elected to either House of Parliament have been appointed Prime Ministers. We are, therefore, of the view that the British Convention to which the petitioner has, referred is neither in tune with our constitutional scheme nor has it been a recognised practice in our country. Per Supreme Court of India in S.P. Anand v. H.D. 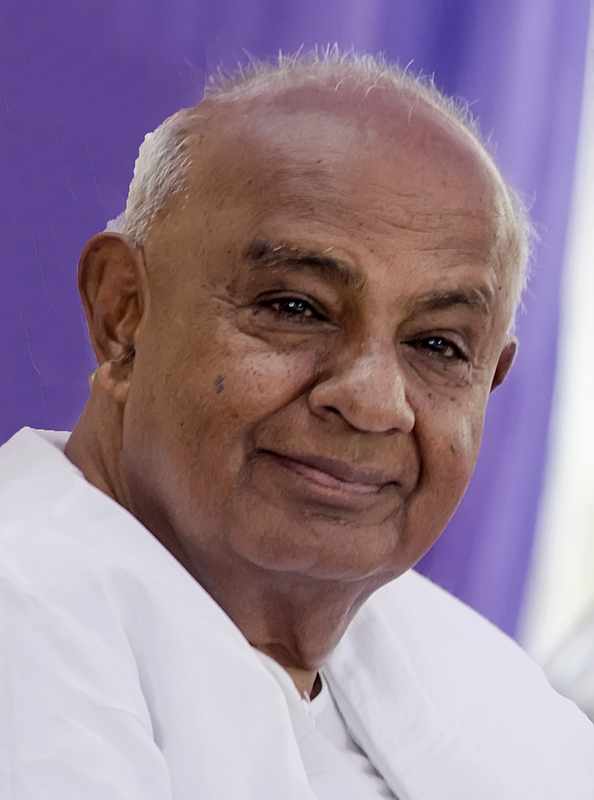 Deve Gowda, (1996).